I have recently upgraded my 8GB MacBook Pro (mid 2010, model ID: MacBookPro6,2) from OS X 10.6.8 to 10.11.4. Under Snow Leopard, after I closed the lid it would take something like 30 seconds to write memory contents to disk before the HDD would spin down and the sleep light begin to pulsate. Under El Capitan, it takes five to six minutes between when I initiate sleep and when the machine actually powers down and the sleep light begins to pulsate. The fans often spin up (to very high speed, if I have closed the lid and zipped the machine into the neoprene case I normally carry it in). I note that /private/var/vm/sleepimage is exactly 4GiB, even though I have 8GiB of RAM. It was previously 8GiB under Snow Leopard. Question: Is this behaviour normal? If not, what can I do to fix it? If it is, is there anything that can be done to mitigate it? Is it normal? No. Not with an optimal install, optimal hardware & configuration. Is your computer stock or have you installed non-oem parts? Age can also be a factor as the thermal grease can deteriorate over time especially when a cpu gets overheated. Also Apple had indicated that you need a minimum of 1GB free to even be able to run effectively. My experience is that having much more than 1GB allows the system to run best. What can you do to fix it? Take a free disk and install the OS on it. Boot from that disk and see if the problem disappears. If it is gone then it's a software issue. If it still exists, you have a hardware or resource issue. If it's software you can create a new user and log in under that account. If the problem is gone then it's the old user account. If it's not, do a clean install of the system. If the problem is gone then it was a problem with the system. What can you do to mitigate it? See the second response to fix it or replace the machine. Would just add - I had a similar problem with sleep on a MacPro 1.1 Tower. Turned out it was heat... which might explain why your fans are going up also. The Mac wont go to sleep above a certain temperature so will continue to run until this comes down which could be 60 seconds or 10 minutes. I installed SMC Fan Control, a free app which allows you to take control of your internal fans and (typically) set them 25% higher. There is a free Temperature Monitor app that reads presents all the sensor values across your Mac. Sure enough, Ram and CPU were running 90+ degree under load (I'd installed additional server grade Ram previously. Whilst this wont kill them, its too high for sleep. SMC sorted the temperature and the Mac sleeps in seconds now. Not the answer you're looking for? 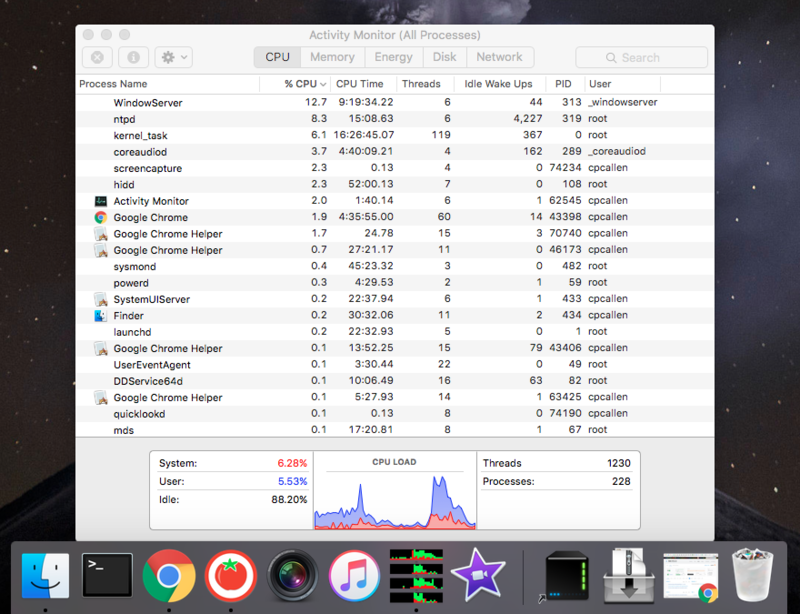 Browse other questions tagged macos macbook el-capitan sleep-wake cpu . Does Lion allow locking screen on computer sleep and screen saver but not display sleep? 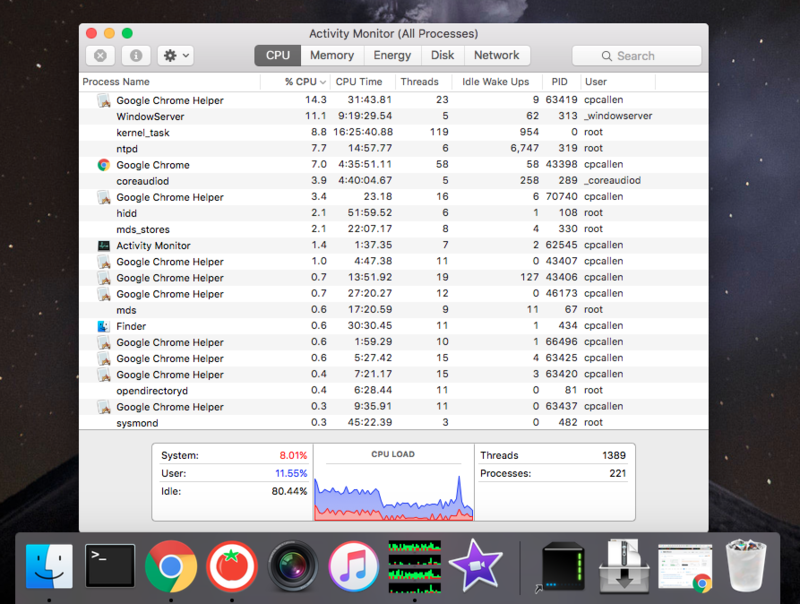 How do I find out what application is trying to wake my MBP?